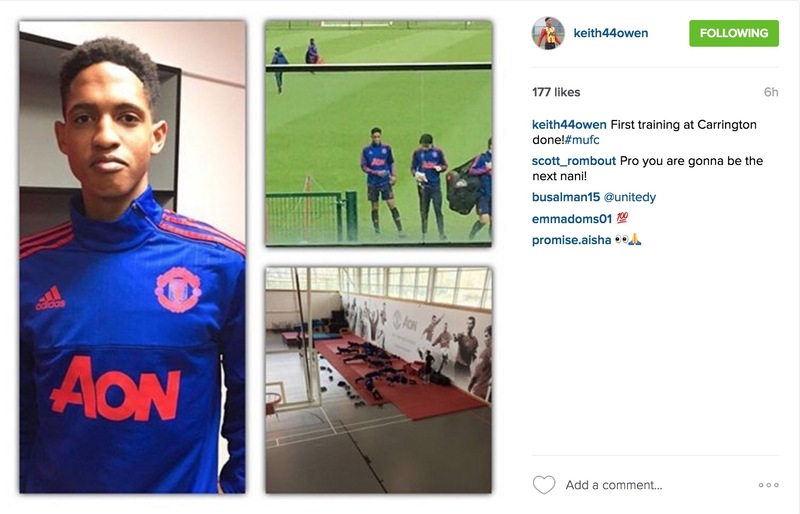 Keith Groeneveld was at Carrington today undergoing the first day of his week long trial at Manchester United. The 16-year-old South African born defender came over to Manchester from Belgian side KV Mechelen and will train with Man United for a week before returning to his club. With one week to impress United’s coaching staff enough to earn himself a place in the academy, Groenveld will be looking to make the most of his opportunities and follow in the footsteps of fellow Belgian youngster Adnan Januzaj who made the move from RSC Anderlecht a few years ago. With Axel Tuanzebe and RoShaun Williams both pushing into the U21s at United now, there is space in our U18s for some fresh faces in defence which is where Groeneveld will want to settle in. Over the course of the week, we’ll try to bring you any updates on how he gets on and who knows, maybe in the summer we’ll see him make the move to Manchester on a more permanent basis.